Are not all mystics dangerous? 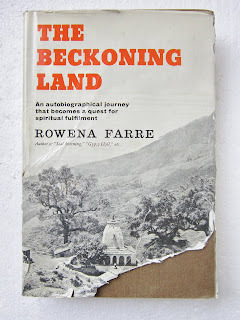 When the distinguished scholar of Christian Mysticism, Bernard McGinn, arrived at London’s Heathrow airport in the 1980s, he was asked by the Immigration Officer why he was coming to England? 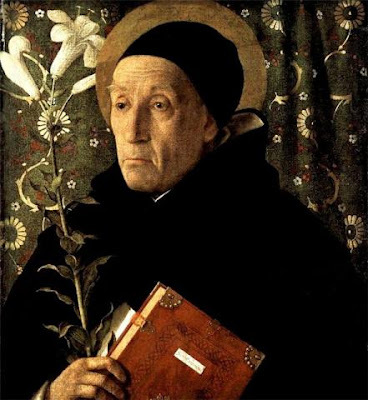 “I am giving a paper at a scholarly conference on Meister Eckhart,” he replied. “Ah! Eckhart. I have always wanted to get a better understanding of ‘gelassenheit’. Can you explain it to me?” So Professor McGinn, by explaining one of Eckhart’s key terms, got entrance into the country whilst wondering if this was the state of interest in Eckhart in England need he have come at all! 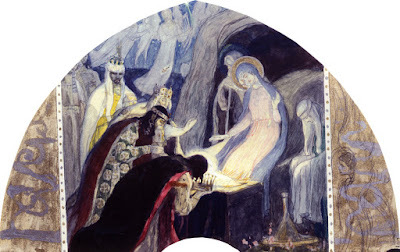 The Three Kings arrive to adore; and, what we see is simply the light emerging from the cradle. We presume it is the light incarnate in the child but the indeterminacy, its overflowing, suggests a light transcendent to the child. It is the light that underpins all.